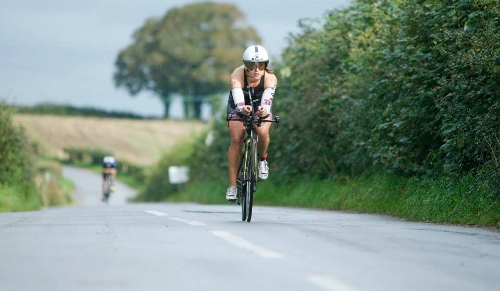 TORQ is pleased to welcome Elite Triathlete, Kate Comber, on board as an ambassador. In the report below, Kate looks back over her 2015 season, which saw her go from a complete beginner to finishing on the podium at an Elite level. We look forward to hearing all about Kate’s racing exploits in 2016. Two years ago, I didn’t even know what an Ironman Triathlon was, or what racing Ironman distance meant. If you had told me back then that, after competing in just four of these races, I’d have earned a place amongst the Professional field, I wouldn’t have believed it. I guess one of the big rewards of training and competing in this endurance sport is learning how much your body can improve and strengthen with hard work. I made the move to triathlon at University, as I saw it as a means to get back in the pool without giving all my time to swimming again. I’d never ridden a road bike before and running was a foreign concept to me. Fast forward to the start of this season and I had 3 Ironman distance races under my belt. After my first ever Winter of uninterrupted training, I entered the ITU Long Distance World Championships in Sweden, with hopes of placing high within my Age Group. 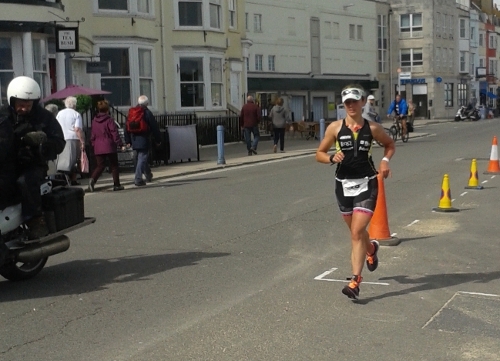 After completing a shortened swim, I exited the sea as the first amateur female, however, a crash on the bike, left me with limited gears on the bike course and drained my legs of energy before the run even began. I still managed to gain 3rd place, but I was left feeling disappointed as I knew that I could have performed better. Fortunately, I had Ironman UK to focus on 3 weeks later. My goals over this time were to maintain my fitness, recover from my injured leg and get my bike up and running in time for the race. After recceing the bike route on the Saturday, I made the last minute decision to opt for a shallower front wheel, being nervous about the forecasted winds. I know that many cyclists would have despaired at my non-matching wheel set up, especially when it meant riding with one clincher and one tubular, but it seemed to work well for me. The race started at Pennington Flash Reservoir in torrential rain. As usual, I exited the swim high up and found myself amongst the Female Professionals at the start of the bike leg. I knew that my race was going well when I realized that Lucy Gossage was the only female to overtake me on the bike course. As I began the run leg, my legs still felt fresh. Sticking to consuming my 3 TORQ units per hour, ensured that my body was fully stocked with energy as I made my way round the hilly run course. The stamina I had built up over Winter, meant that I was able to push all the way to the finish line, running myself into 3rd position Overall. As I had finished within 108% of Lucy Gossage, this meant I had fulfilled the criteria of British Triathlon to compete as an Elite Triathlete. I was now left with one key race in my season, Challenge Weymouth, where I felt I could give it my all and test where my limits lay. I then had a difficult decision to make about whether to upgrade my entry to a Professional one? In the end I decided that it was a lose-lose situation to remain as an Age Group athlete; place high up again and regret not competing in the Elite field, or place amongst the other Age Group athletes and risk losing the Professional License I had just gained. Three weeks before the race, the knee injury I’d sustained in Sweden returned, so I made the decision to recuperate and lay off training until the race. 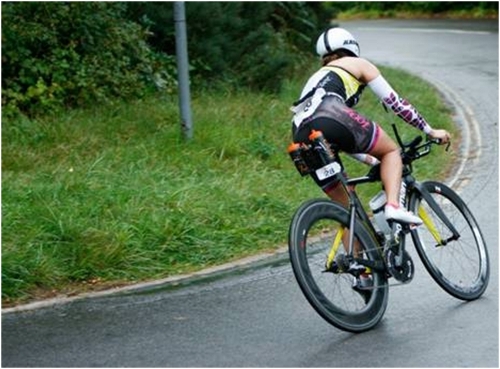 The race day conditions meant that I had to go with my mismatch wheel set up on the bike again. Maybe it is a lucky combination for me, as I came out of the swim and took the lead from Eva Potucková early in the bike leg. I was expecting to be overtaken out on the course, but the female athletes behind me never appeared. The strong Swedish athlete, Camilla Lindholm, overtook me early on in the run, closely followed by British athlete Vicky Gill. I hung on and, with a mile to go, I started to see the back of Vicky ahead of me. With just 500m to go, I was running at her shoulder. When I made the move, I had to make it stick. As I ran onto the pier I broke into full sprint (what could be classed as a full sprint at the end of an Ironman!) and didn’t let up until I crossed the finish line in second place. Yet again, my TORQ nutrition had not let me down, and kept me strong until the end of the race. I want to thank TORQ for their assistance over the past three years and for believing in my ability. Thanks to them, nutrition has always been a strong component of my training and racing.